Although Amazon hasn’t named these planned helipads as vertiports, the planned Helipads for the HQ2 buildings would work well for eVTOL transport. Jeff Bezos, as many know, has many ambitions and is extremely forward thinking. He’s not only the founder and CEO of Amazon, but is also the founder of commercial space travel company Blue Origin. As Amazon has continued to grow, it’s constantly looking to the future. The new Amazon ‘HQ2′ buildings will be strategically placed on the East River in New York, and close to the Potomoc in Northern Virginia. Although amazon has declined to comment on the reasoning of this choice, the buildings’ proximity to these waterway will give them access to the rivers’ flight corridors. This means that Amazon wouldn’t have to wait until regulation allows eVTOLs to fly over buildings in order to begin operations to places like JFK, LaGuardia, or Newark Airport. Designing vertiports for buildings is no easy task. According to Blade CEO Rob Wiesenthal (in an interview with Forbes), there’s no way to easily retrofit vertiports onto buildings. This means that anyone developing real estate now should consider laying the groundworks for the transportation networks of the future. Already, Landing pad plans have been made by real estate companies like Paramount in Miami, which envision cutting commutes down for their residents. Blade, an on-demand helicopter taxi service in Los Angeles, New York, and Miami, has already raised $38 million from Airbus and real estate investment firm Colony to develop vertiports in various cities. According to CEO Wiesenthal, there’s several buildings in New York that are already adding capabilities for their buildings to include landing pads, including real estate company Vornado’s redevelopment of its properties across from Manhattan’s Penn Station. According to Wiesenthal, these buildings “basically have hidden skyports”. 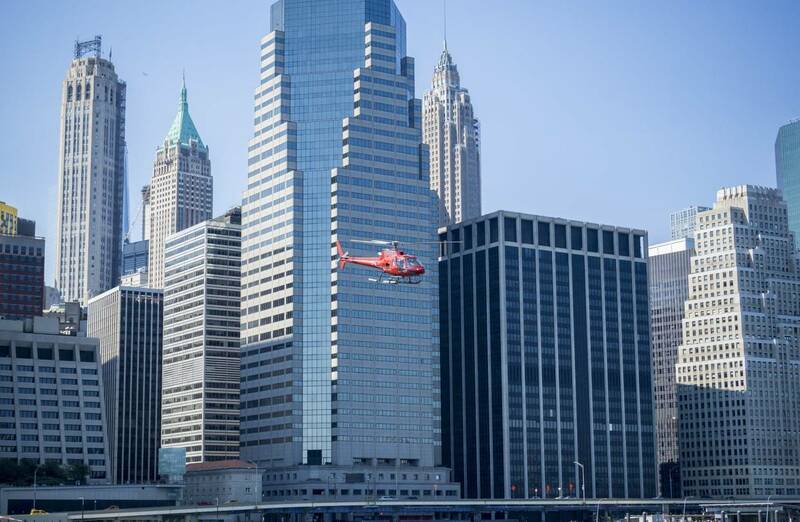 The Blade helicopter taxi service services even a 2-minute flight east to west across Manhattan. 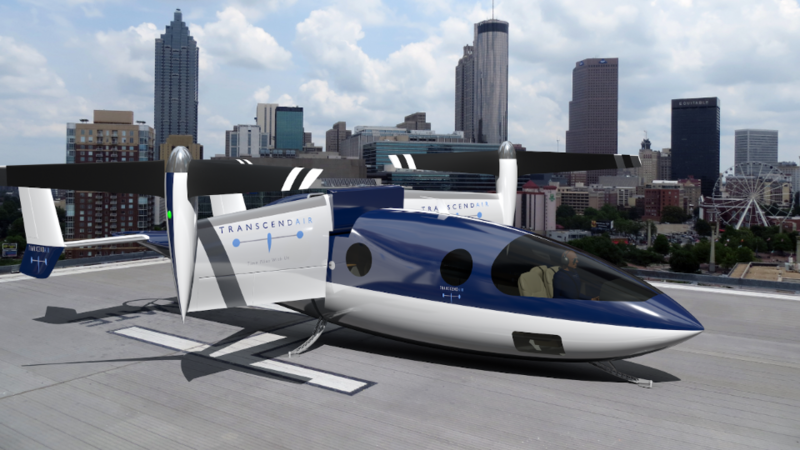 One other luxury VTOL developer in New York is Transcend Air, which plans on releasing its air taxi service in New York and other cities by 2024. 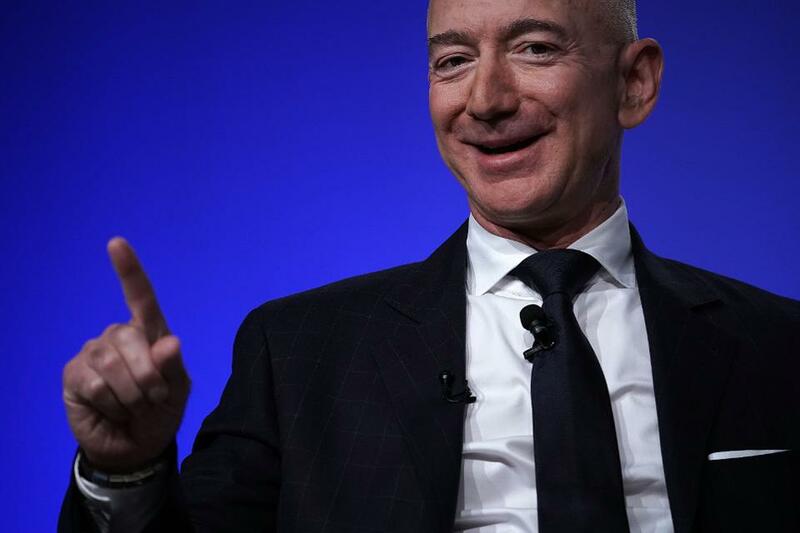 In an interview with Forbes, Transcend Air CEO commented, “Jeff Bezos has his own spacecraft company—of course he’s thinking about the future of aerospace and transportation”. 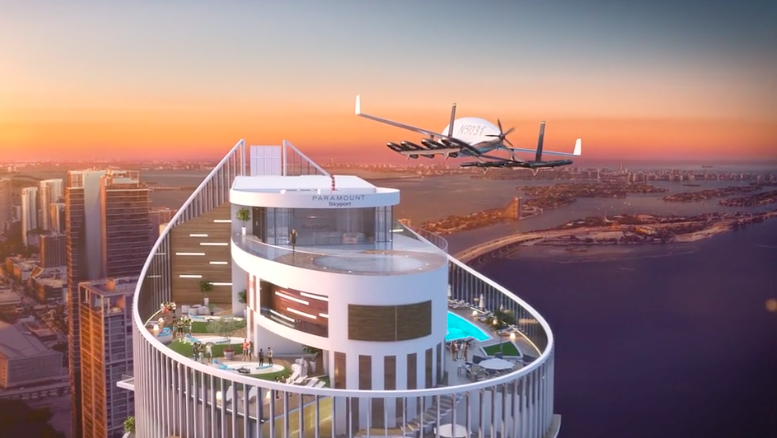 The Transcend Air VTOL, an inter-city luxury air taxi service set to launch by 2024. Why its important: Announcements by real estate companies of vertiport plans are becoming more prevalent. Since real estate projects can often take a long time, it’s vital that any developers wanting to be the first to support urban air taxi transport start their projects now. The fact developers are willing to commit an urban air mobility future by investing in these projects gives even more validity to a future of urban aviation.